Leave a Comment on Want to be bloody good at innovation? What makes one person think more innovatively than another? subject matter if you will. Then how you interpret that subject matter will determine what kind of masterpiece you’ll create. Some people seem to be naturally more creative just like some people are better musicians or artists. But there’s a big difference between people who are mediocre, bloody good and those who are brilliant. When it comes to innovation like everything else, there’s no reason why most of us can’t be bloody good if we set about learning the skills in the same way we would for music or art. The truth is, those people that seem to be more creative or more innovative than you, it’s generally because they spend most of their time looking at things differently. If I’m asked to help companies innovate, I find it easier to come in & look at a category in a completely new way. That’s because I’m not bogged down with the details of how to sell in a product to stores, or pitch for company funding, or create a media strategy or control a budget. You know, the hard stuff. I spend most of my waking hours trying to think differently & innovate – create new brand positioning, new revenue streams, to imagine a new space or think about what the future might be. The point being, that if you put aside some time each week to concentrate on being more innovative, you’ll find it easier too. The best way to start being more innovative is to force yourself to start thinking differently. To start imagining ‘what if?’ rather than just being concerned with ‘what is’. That means taking some time to expose yourself to new ideas & thinking. It also helps to start gathering together a bunch of tools that will help you ask the right questions & force your brain to think differently. It doesn’t have to feel like homework, it doesn’t have to take a huge amount of time out of your day. You could start by checking out of the site links on this site each day. Pick a blog or a site that sounds interesting, visit a new one each day and ask yourself : What is interesting about this site? What could I learn from this site? How is this site different or similar to my business or the issues we face? or the people we reach? or the sorts of ideas we’re looking for? 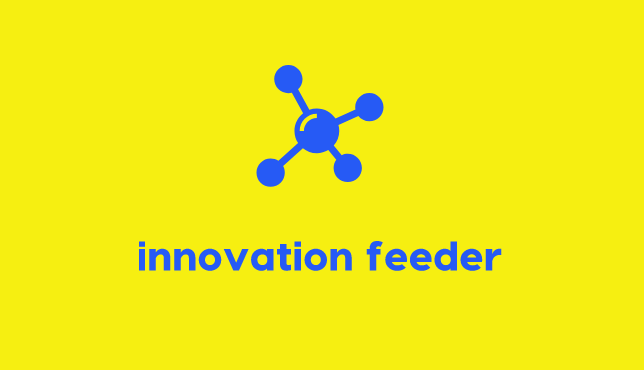 Being innovative is about making new connections, it’s about jumping from one space to another, it’s about putting a new lens on existing research or points of view. It doesn’t have to be a big shift, it might just be a little bit different. Sometimes that’s all you need. This site has a whole bunch of brainfood but don’t stop there :: there’s a whole world wide web of non-work related mind candy goodness that will put some buzz in your uptop muscle. So go, hang your balls out in the wind and try something new.